Labour has accused the SNP of watering down a key target on apprenticeships. The party’s education spokesman Iain Gray wants the government to reset the target for foundation apprenticeships, claiming reductions will cut off opportunity for young people. Lasting two years, the apprenticeships enable senior secondary school pupils to learn at the workplace while still at school. The government committed to providing 3,000 foundation apprenticeships in the next academic year in January 2017. A year later they said the target was for 2,600 of the places in 2018. Questioned on whether the target changed due to budget pressures, Minister for Employability and Training Jamie Hepburn told a Holyrood committee the agreed target is for 2,660 foundation apprenticeships and the government “never agreed any other target”. Mr Gray said: “By watering down these targets, and then denying it, the SNP is cutting off opportunities for young people across Scotland. “Foundation apprenticeships should be a key aspect of developing young people for further work and training. We should be seeing bolder targets from the government, not watered down commitments. “What’s worse, ministers are now actively denying it. That simply isn’t good enough. 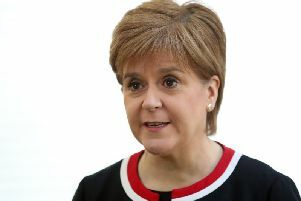 A Scottish Government spokesman said they have a “strong” commitment to the apprenticeships. He said: “We are growing the number of foundation apprenticeship opportunities rapidly from a standing start - from 346 in 2016, to 1,245 in 2017 and to 2,600 in 2018.